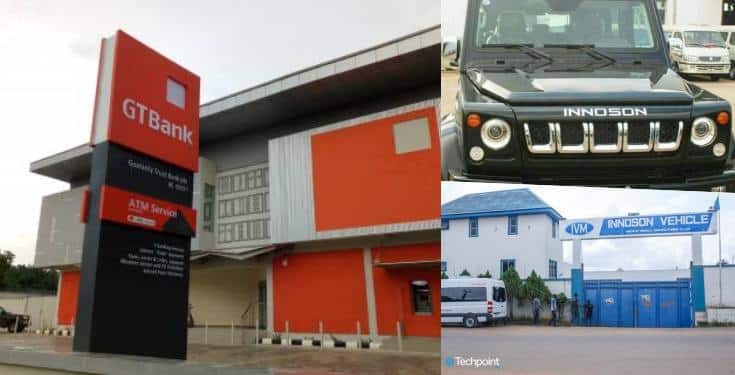 Innoson Nigeria Limited has obtained a writ of Fifa from the Federal High Court in Awka, Anambra State, against Guaranty Trust Bank (GTB) to effect the judgment given by the Federal High Court in Ibadan and upheld by the Supreme Court of Nigeria. This was made known in a press release issued by Cornel Osigwe, the head of corporate communication of Innocent Nigeria Limited. Writ of FiFa (Writ of Fieri Facias) is a leave of court to execute a judgment obtained by a judgment creditor in a legal action for debt or damages by levying on the property of the judgment debtor. In 2014, the Federal High in Ibadan had ordered GTB by way of Garnishee order absolute to pay N2.4billion to Innoson with a 22% interest, per annum, on the judgment sum until the final liquidation of the judgment debt. However, GTB appealed this decision at the appeal up to the supreme court. But, according to Innosson, the Supreme Court on February 27, 2019, dismissed GTB’s appeal and upheld the decision of both Federal High Court and the Appeal Court. The Statement read: “The Chairman of Innoson Group, Chief Dr. Innocent Chukwuma, OFR has through a Writ of FiFa taken over Guaranty Trust Bank PLC for and on behalf of Innoson Nigeria Ltd as a result of the bank’s indebtedness to Innoson Nigeria Ltd. In a landmark decision on February 27th 2019, the Supreme Court of Nigeria dismissed GTB’s appeal — SC. 694/2014 — against the judgment of Court of Appeal, Ibadan Division. “Thus, the Court of Appeal affirmed the judgment of the Federal High Court, Ibadan Division which ordered GTB by way of Garnishee order absolute — to pay N2.4billion to Innoson with a 22% interest, per annum, on the judgment sum until the final liquidation of the judgment debt. Rather than obey the judgment of the Court of Appeal, GTB approached the Supreme Court to challenge the Court of Appeal’s decision. “However in a ruling delivered by Honourable Olabode Rhodes-Vivour JSC on Wednesday, February 27th2019, the Lord Justices of the Supreme Court (JSC) dismissed GTB’s appeal and thus affirmed the concurrent judgment of both the Court of Appeal and the Federal High Court, Ibadan Division which ordered GTB by way of Garnishee order absolute — to pay N2.4billion to Innoson with a 22% interest, per annum, on the judgment until the final liquidation of the judgment. “The Judgment debt of N2.4bn has an accrued interest as at today of about N6,717,909,849.96 which results to about N8.8 billion. The motor company and GTB had been in a long legal battled over alleged indiscriminate charges on Innoson’s account with the bank. GTB later claimed that Innoson fraudulently brought in vehicle parts with forged documents. However, the motor company denied this allegation, saying the allegation was an effort of defect from the real issue of ineptness against him. “We have taken over GTBank in Awka and Nnewi,” Osigwe subsequently announced, adding that “other branches are coming soon”.